Treating migraine and chronic migraine is expensive. Between office visits, trips to the ER or urgent care, and prescription medications, costs add up very quickly. One way to lower the cost of preventive care is by utilizing behavioral treatments. One cost-effective alternative to prescription drugs is hypnotherapy treatment for the use of managing migraine and its triggers. 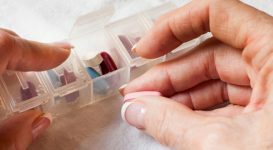 A study published in the June 2011 Headache Journal compared the costs of multiple behavioral treatments with preventive prescription drugs. 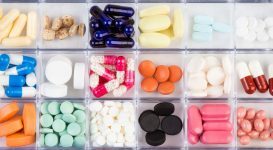 Behavioral treatment was comparable with prescription drug treatment after six months and after one year, minimal-contact therapy (therapist is seen a few times per year and behavioral techniques are practiced at home) was nearly $500 cheaper than drug treatment. As compared to self-hypnosis, hypnotherapy is more effective to treat underlying stress causing headaches. Sensation is the language that the body speaks, therefore pain is a “wake up call” sent to the body. Through direct access to the subconscious, hypnotherapy asks the body to deliver its message in language the conscious mind understands – English. This is called the Gestalt therapy technique. It is a very effective form of treatment. The person undergoing this form of therapy will almost always spontaneously experience words coming out of their mouth to express the “point of view” of the pain located within the body. Hypnosis is a gentle yet powerful means to access the deep subconscious and the body’s wisdom in an understandable language. Research scientists have been studying the effects of hypnotherapy on pain since the 1970s. 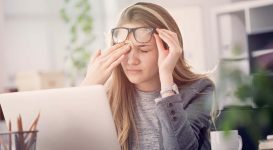 Research has indicated hypnosis can help migraineurs manage their pain symptoms and can be an appropriate form of treatment for migraine with aura. If patients can achieve a hypnotized state before the migraine occurs (prodrome stage), pain can be significantly reduced. Hypnosis can help manage the pain of migraines and may help prevent triggers causing migraines. In this study, migraine patients treated with hypnosis had a significant reduction in the number of attacks and in severity compared to a control group treated with traditional medications. The difference between the two groups was not statistically significant until the second six-month follow-up period. The number of patients in the hypnosis group who experienced no headaches for over three months was significantly higher than in the control group at the end of one year. Self-hypnosis was shown to be significantly more effective than propranolol or placebo in reducing the frequency of migraine headaches in children between the ages of six and twelve. Research found hypnosis to be effective in the relief of tension headaches. Alladin reviewed literature on hypnosis and identified twelve hypnotic techniques that were used in the treatment of chronic migraine. Hypnotic training emphasizing relaxation and hand warming (Anderson, 1975) were the simplest method of establishing increased voluntary control of the sensitive vasomotor system. 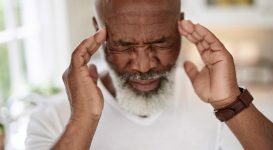 Direct hypnotic suggestions of symptom removal were shown to be effective in reducing the duration, intensity, and frequency of migraine attacks during a 10-week treatment course and at the 13-month follow-up when compared to controls. A study was conducted on 42 patients with chronic headaches, all of who responded poorly to conventional treatments. They were split into two groups – a hypnotherapy group to relieve headaches and a comparison group. The hypnotherapy group experienced reduced frequency and duration of headaches with the intensity of headaches reduced by 30 percent. One of the benefits of hypnosis and hypnotherapy is that they are cost effective alternatives to expensive medications that may prove to be ineffective and cause side effects. 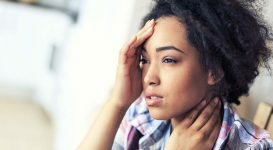 Procuring psychological treatment for migraine headaches could allow the sufferer to identify underlying stress that may be contributing to their migraine attacks. Using this type of approach can help people with migraine manage and control the frequency, duration, and intensity of their pain. Hypnosis is one of many behavioral therapy approaches used to treat and manage chronic pain, including migraine. It is common for relaxation, biofeedback, and cognitive behavioral therapy or CBT to be used in conjunction with hypnosis. For treating migraine specifically, there are two often-used hypnotherapy techniques— hand warming and glove anesthesia. The use of these techniques allows the migraine sufferer to gain control over their pain by helping them transfer warmth or numbness to their head where the pain is located (Anderson, 1975). Using these methods were shown to be more beneficial than simple relaxation techniques. Self-hypnosis techniques can be taught to patients to practice at home, often through the guide of a personalized CD. 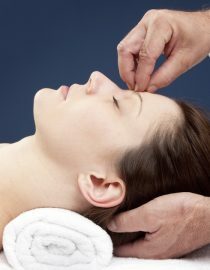 Frequent techniques used during pain management hypnotherapy sessions include progressive relaxation induction, distraction techniques, visualizations of the pain, post hypnotic suggestions and cues for pain control, and an emphasis on recovery and wellness. This technique can benefit the migraine patient as stress oftentimes worsens pain and causes tension in the muscles. Many people find this technique easy to learn, leaving their sessions feeling equipped with a tool that will help them manage their pain. An essential part of pain management and hypnotherapy is for patients to feel that they can manage their pain outside of their sessions. Practicing self-hypnosis at home regularly can help them achieve this goal. Patients should be given the time to describe their pain in detail, including duration and intensity of their pain, how it feels (aching, burning, stabbing, throbbing, etc. ), and what makes it worse or better. For example, if someone describes their pain as hot or burning, they may respond better to visualizations of cool, soothing imagery and colors (blue, silver, white). Whereas someone whose pain may be described as a dullness or continuous ache may relate better to warming imagery and colors (red, orange, gold). It is also useful for the hypnotherapist to assess the patient’s ability to visualize images before engaging in hypnosis. For some, it may be easier to visualize a sound rather than an image regarding their pain. If this is the case, it would be a much more effective route to take. The effectiveness of hypnotherapy can be influenced by expectations and motivation of patients. Some may see a decrease in their pain as a success, where others may consider anything less than complete relief as a failure. It is very important that the hypnotherapist discusses possible outcomes with their patients to maintain that their goals are realistic and achievable. You might also like...What Is a Hemiplegic Migraine?